We start each day after a short play and settling time with a Welcome Circle. 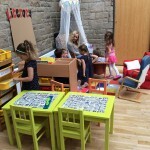 The children enjoy gathering together as a group, sharing their news with friends and hearing about activities available that day. When appropriate we discuss any Golden Rules that might help that day, weather, birthdays, days of the week, and the sharing of special events. We encourage listening to others and taking turns to speak by sharing the ‘Talking Stick’. 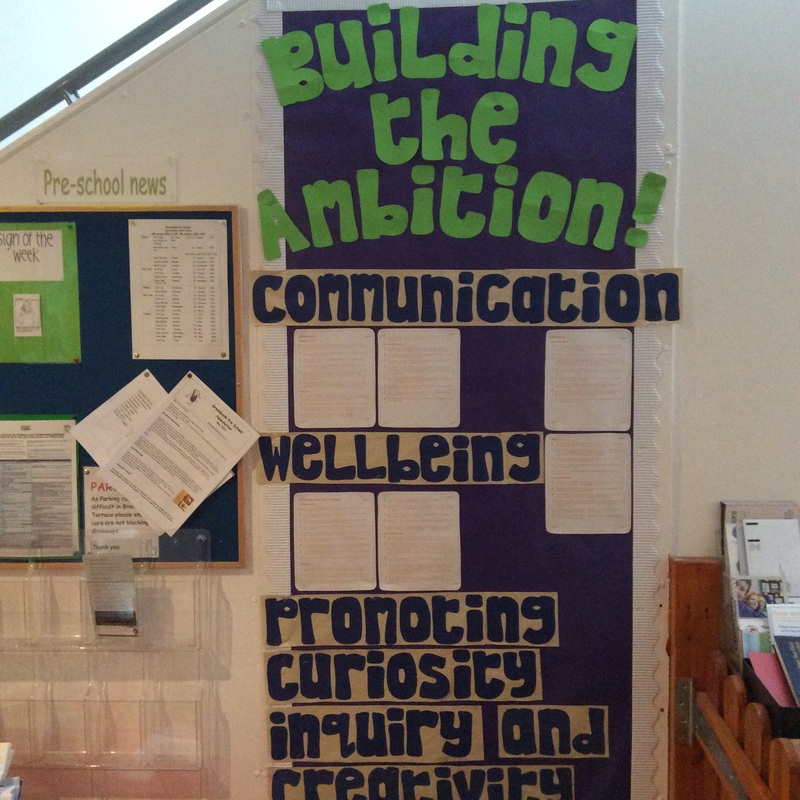 This time is also used for highlighting current themes and feedback from the children about what they enjoy or would like to learn more about. 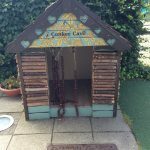 We have an exciting outdoor environment with vegetable planters, mud kitchen, willow archway, bug hotel, circle time seating area and conker cave. 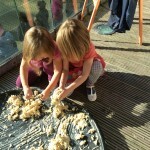 Children can explore using all their senses and engage in plenty gross motor movements. 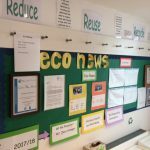 The ethos of our pre school is based around our outdoor provision and our ECO Flag status. 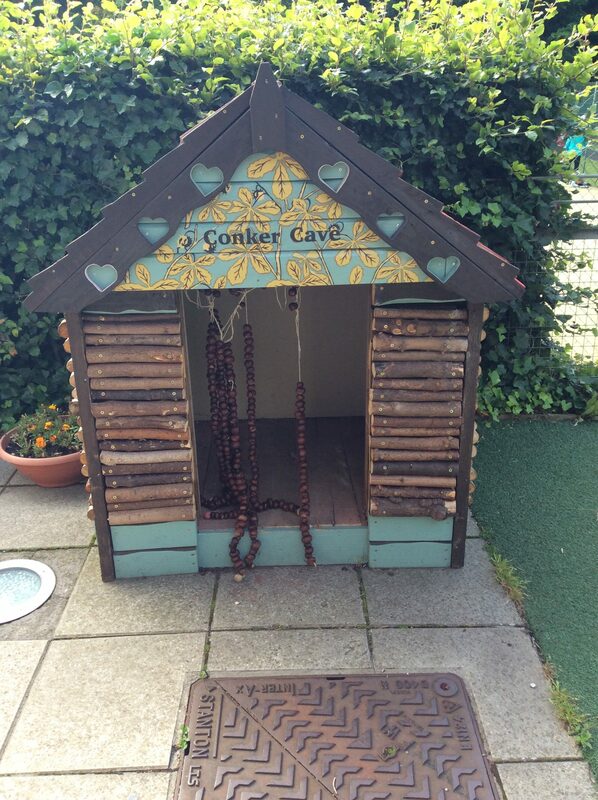 We have an inviting book corner with an adult story telling seat. We share stories here and can choose to write and mark make with plenty resources to explore. 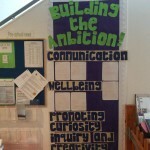 We record many ideas and stories in a floor story format that can be revisited during the year. 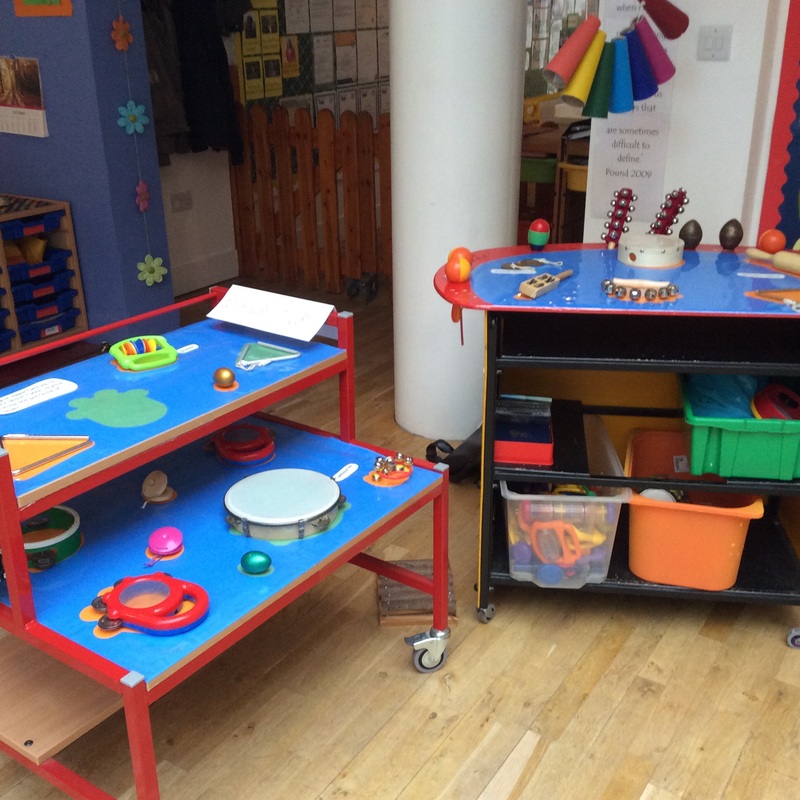 Our numeracy space has plenty maths construction, puzzles and ‘placing and arranging’. 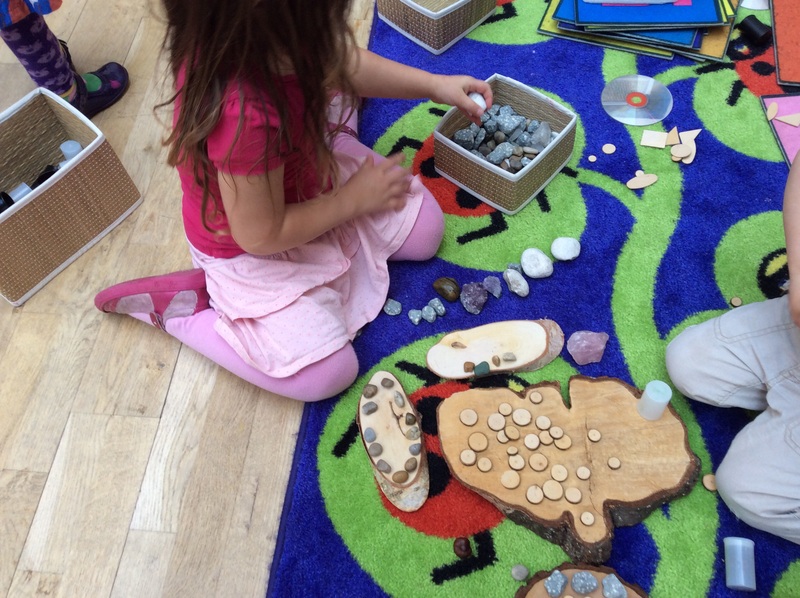 We provide opportunities to explore shape, space, measure and pattern as well as number and counting. 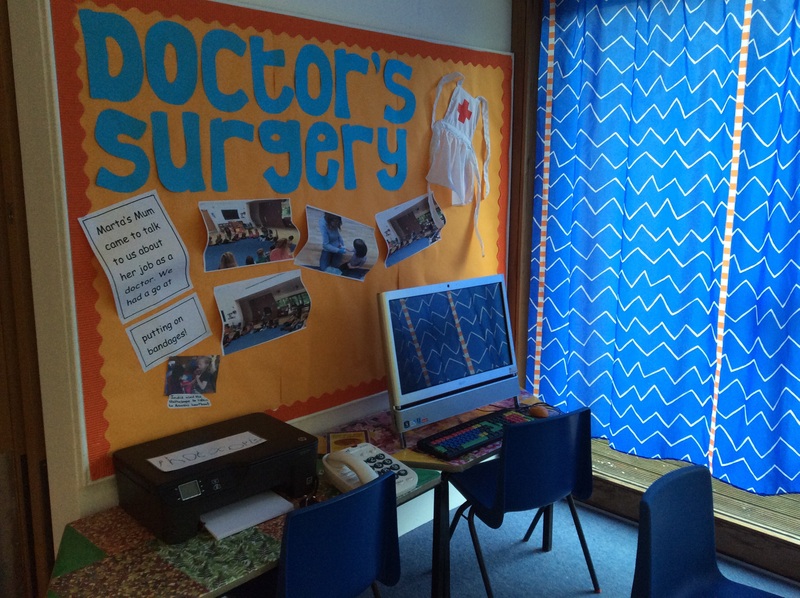 Here the children can engage in role play and dress up, which builds on and reflects their everyday experiences. 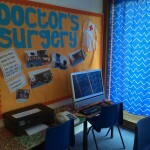 We change our role play area regularly and it usually supports our topic or theme. 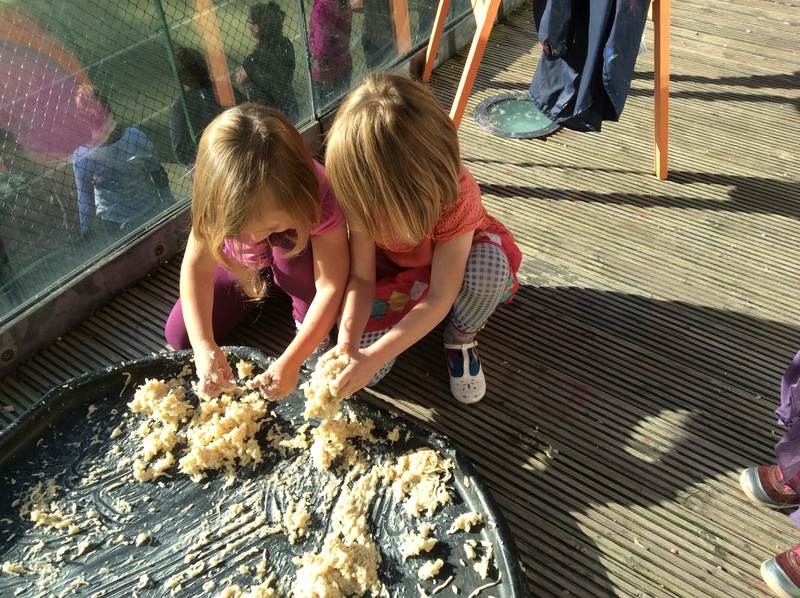 We give the children plenty opportunity to explore textures and materials using all their senses. 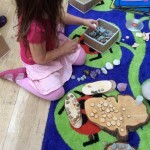 We understand that sensory play supports brain development in early childhood. 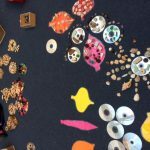 We aim to give the children the opportunity to explore a wide range of materials. 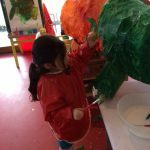 We are very adventurous in our art and design provision- we use the ‘art and literacy’ methodology and provide children with much challenge in all areas of creativity. We have a range of software designed for pre-school children. We try to encourage mouse control and allow the children to become familiar with using a computer. We also encourage children to use the ipad to access their online learning journal and to take videos and pictures. We have beebot programmable toys for the children to play with. We are passionate about music, song and dance and have regular circle time sessions where we use the musical instruments and dance to a wide range of music from around the world. We use the guitar to sing with the children and often invite musicians to work with the children. We have a variety of construction toys and “small world” LegoTM and DuploTM bricks. 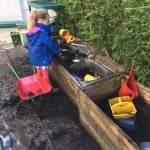 The children use these in a variety of ways including problem solving and imaginative play. We often end the session with a story. We also gather together after play to read different stories in small groups when we settle down for circle time. 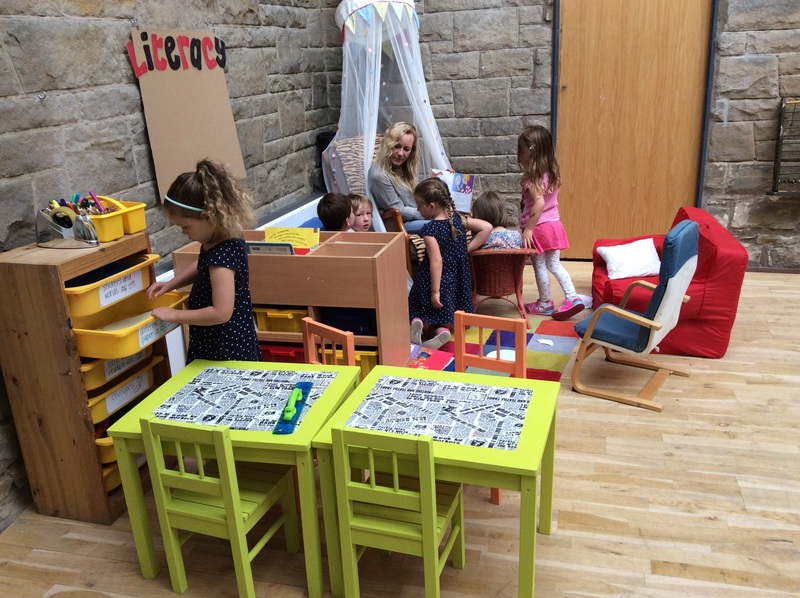 We have keyworker time every week and stories are shared during these sessions.